Buzz Bomber, called Beeton (ビートン) in JapanMedia:Sonic1 MD JP manual.pdfMedia:Sonic 1 GG JP Manual.pdf, is an enemy (badnik) found in the video game, Sonic the HedgehogMedia:Sonic1 MD US SonicJam manual.pdf. Buzz Bombers are blue airbourne robots modelled after bees or wasps - they typically float above Sonic, stop in mid-air and fire a projectile at a 45-degree angle towards the ground, before quickly flying off screen (to then re-emerge from the opposite direction). Buzz Bombers are iconic Sonic enemies which have re-appared in numerous forms across the series. They have also influenced other badniks, most notably the Buzzer in Sonic the Hedgehog 2. In all cases, Buzz Bombers are best dispatched either while flying, or in the short period before firing. 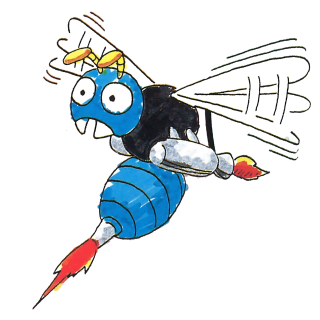 In the original Sonic the Hedgehog the badnik was known as Le Bourdon Bombardier in FrenchMedia:Sonic1 MD EU manual.pdf, La Avispa Mortifera in SpanishMedia:Sonic1 MD EU manual.pdf, Vespa Bombardiere in ItalianMedia:Sonic1 MD EU manual.pdf, Vliegende Bommenwerper in DutchMedia:Sonic1 MD EU manual.pdf and Pörriäispommittaja in FinnishMedia:Sonic1 MD EU manual.pdf. Three types of Buzz Bomber take to the skies in Sonic Generations. Yellow Buzz Bombers hover in place and take pot shots at the character. 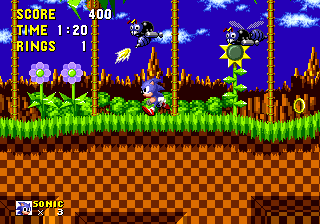 More uncommon purple Buzz Bombers simply fly towards the player in Green Hill, and aren't any danger if you're in an offensive maneuver. 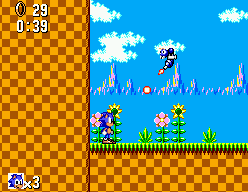 Rarer giant purple Buzz Bombers cannot actually hurt you, but can propel you high into the air if struck with a Spin Attack from a certain height (a major source of assistance for Classic Sonic as he races Knuckles the Echidna in an extra mission). 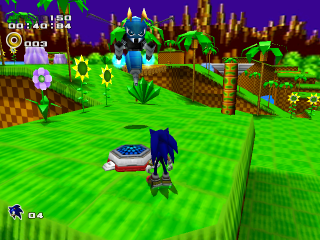 Sonic the Hedgehog (16-bit): found in Green Hill Zone, Marble Zone and Spring Yard Zone.  Sonic the Hedgehog (8-bit): found in Bridge Zone and Jungle Zone. Sonic Adventure 2: found in Green Hill. 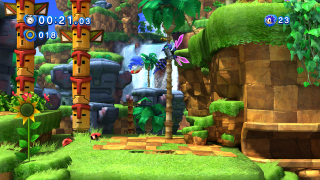 Sonic Generations: found in Green Hill. Sonic Lost World: found in Windy Hill and Desert Ruins. Sonic Mania: found in Green Hill Zone. Sonic Forces: found in Green Hill. This page was last edited on 12 October 2018, at 18:44.